Children Science Congress (APSC-2018)-Invitation, Transport and Accommodation Details. 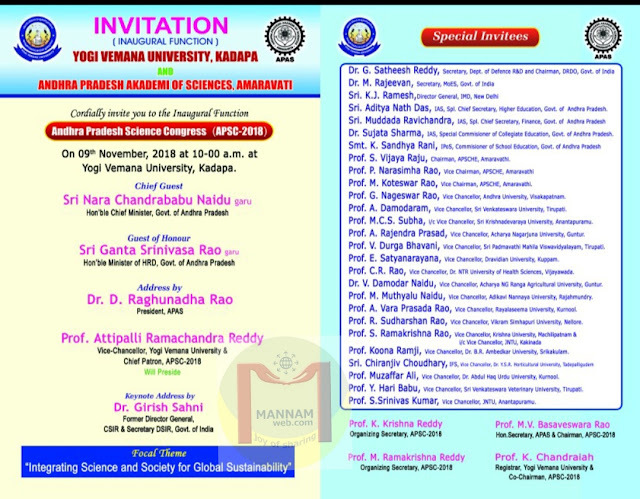 Greetings from Children Science Congress, A. P. Science Congress-2018, Yogi Vemana University, Kadapa. First of all thank you for your interest to participate in Children Science Congress along with your Science Exhibit. On behalf of organizing committee we are cordially inviting you to participate in CSC (APSC-2018). 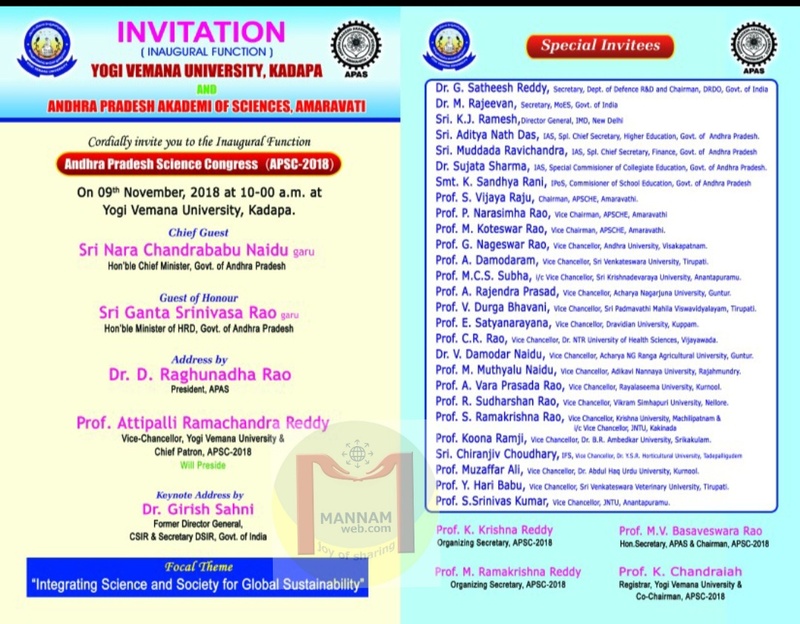 You are instructed reach Kadapa 8th Nov. evening/night and fix your Science Exhibit in respective stall arranged in Yogi Vemana University. For local transport, accommodation and other facilities please contact 9182633585 (Dr. Thummala Chandrasekhar) or 9985200965 (Dr. Vasu Govardhan Reddy) or 8919472842 (Prof. B. Jayarami Reddy).